Alessandro was waiting at the train station for us when we arrived and not only was he knowledgeable about the area, he kept us on schedule and did a wonderful job. There were four of us traveling together and would would all highly recommend both the guide...and this tour! We were a group of 4 people. 2 adult couples. Alessandro was a wonderful guide, and was able to give us all the history and information of the area. It was so great to have a private car and guide. We saw all the places we wanted to and more. If we saw something of interest he would stop for us. He took us to a place for lunch that we really enjoyed. We were picked up and dropped off at our AirBnB. Worked out perfectly. TOUR GUIDE RESPONSE: I'm glad you appreciate my way to customize the tours and the informal lunch. I hope to see again in the future. Thanks a lot. TOUR GUIDE RESPONSE: thanks a lot for your feedback and rating. It's been so kind of you. I hope to meet you again here in Puglia or, may be, in Guatemala. TOUR GUIDE RESPONSE: thanks a lot for your rating. I hope to see you again in the next future. Having done several tours with Alessandro, I very soon learned that anyone fortunate enough to be introduced to and/or guided in any part of beautiful Puglia by Alessandro is fortunate indeed. His knowledge of the land, its history, its art, its people - not to mention its cheese, olive oil, wine and restaurants! - is amazing. ENJOY!! You couldn't ask for any better! My only regret? being limited to only five stars. TOUR GUIDE RESPONSE: Thanks Elisabeth. You're too good to me. It's me that I have been so lucky to meet such a wonderful woman like you. 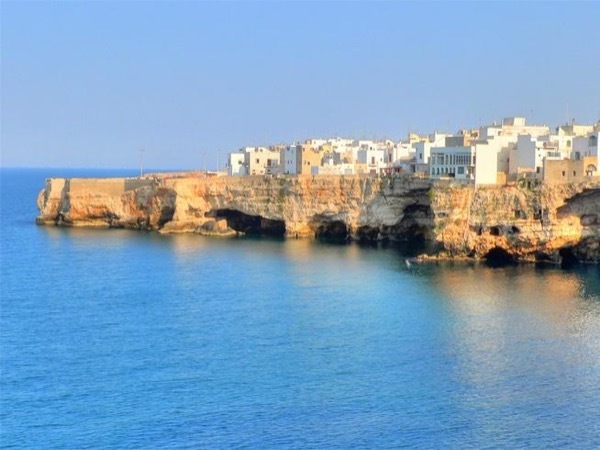 We had such a superb day from historic landmark in Bari to the nice small town in Monopoli and Polignano a Mare, here we were stunned by the picturesque sunset view at the best spot in town. Alessandro knows where the best spot is and when the right time we need to be there. TOUR GUIDE RESPONSE: I'm happy you like the tour and the view from the private terrace ... also for me it's always such an astonishing panoramic view ! We had a full day excursion with Alessandro for Polignano a Mare, Alberobello (Trulli), Locorotondo and Bari. He is wonderful, knowledgeable. The van and the driver he arranged was very good. We really had a good time to see this beautiful part of Italy! Thanks, Alessandro!! TOUR GUIDE RESPONSE: Thanks Ray for your rating. I'm happy you enjoied the day in Puglia and I hope to meet you again in the next future.